Learn more about Food of Class 2. 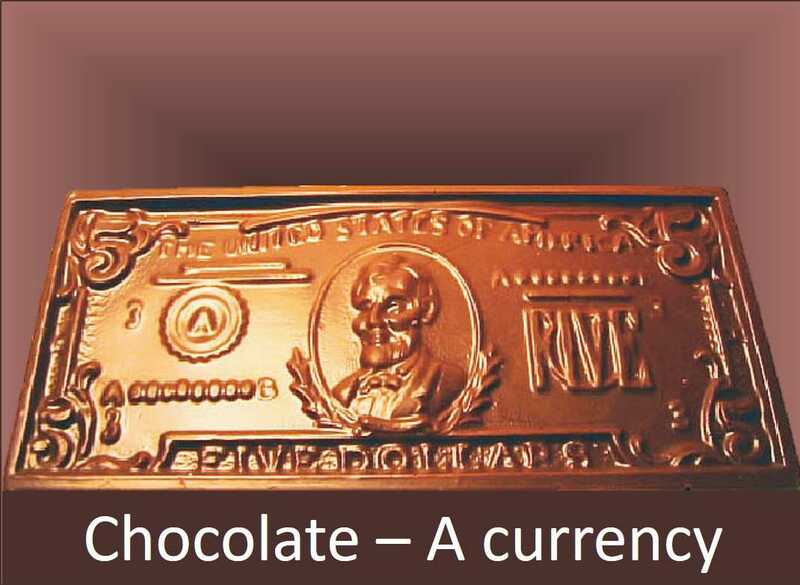 You will be very surprised to know that once chocolate was used as a currency In around 250 A.D. In ancient civilizations of south Africa and Mexico. The Aztecs and Mayans used cocoa beans as a system of money.